You wanted it and they brought it. Fresh for the 2015 riding season, Alpinestars is introducing some subtly branded city riding gear. Sure, the Black Shadow Huntsman was a step in the right direction, but now with the introduction of the Ray Canvas, Monty, and Shelly you can fully rid yourself of ostentatious logos and be completely incognito. Roland Sands look out. As old as the technology of waxed cotton is, boy is it nostalgic. Alpinestars has brought that traditional style to you with the Alpinestars Ray Canvas Jacket; a heavy waxed cotton jacket equipped off the shelf with CE approved shoulder and elbow armor. Simple yet elegant, this piece was designed for city speed protection but will not look out of place when you jump into that coffee shop straight off of your cafe racer. Ladies, you are not being left out on this one. The Alpinestars Shelley Jacket is finally a European cut, classically styled jacket from the Astars crew. 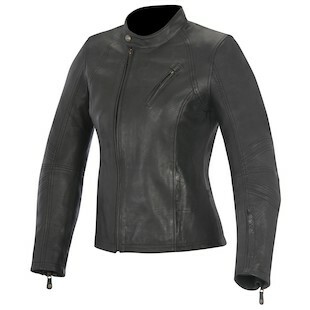 Mixing leather jacket fashion with actual protection, the Shelly is comprised of a 0.9-1.0mm bovine leather and comes with CE shoulder and elbow armor already installed. Slightly perforated sleeves and a removeable flannel vest liner help stretch the seasonality of the Shelly, so in moderate regions I would be willing to bet you could cover 3 seasons with the Shelly (late winter - early summer and late summer - early winter). 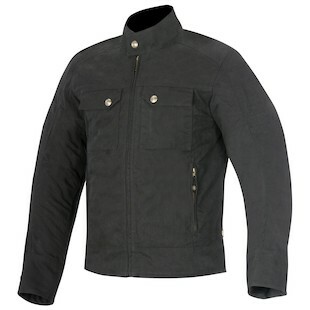 And for the guys, there is also the Alpinestars Monty Jacket. 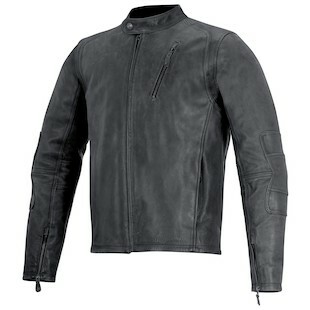 The Monty is nearly identical to the Shelly in performance, but of course comes in Alpinestars’ standard mens cut. The guys do get Black and Brown colorways though (to the Shelly’s only Black option) along with the warming flannel liner. Isolated perforation on the inner arms help push this jacket into the warmer months and would probably make it perfect for early morning / early evening commuting in the summer. This is real. This is exciting. 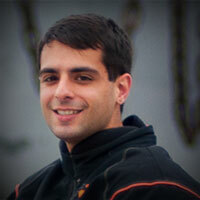 Premium motorcycle gear companies heard our requests and they are now delivering. No matter what bike you are riding, the classic leather look never gets old. These new offerings from Alpinestars could be carried over from your Bonneville to your Ducati, and heck, could even be worn as a casual leather jacket off the bike. With the lack of loud branding, no one would ever know you would be wearing a top-of-the-line protective motorcycle piece.